OICL has released Final Result for OICL 2016-17 exam. Candidates can check their OICL Final Result by clicking on the link mentioned below. OICL is conducting OICL AO Scale I 2017 exam to select Administrative Officer at its various offices all across the country. 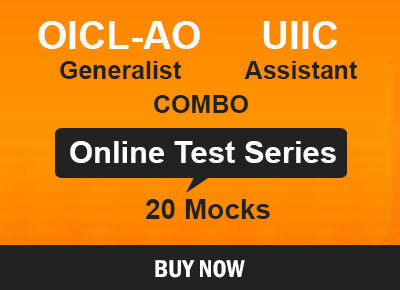 OICL Exam is yet another insurance exam conducted every year in order to select eligible candidates for prestigious posts such as that of AO, ADO, AAO etc. OICL or Oriental Insurance Company Ltd. is a public sector non-life insurance company of India with its headquarters in New Delhi. Having more than 30 regional offices and more than 1800 branches all across the country, it is one of the premium Insurance Company of India. Oriental Insurance Company Ltd. (OICL) has released the Notification the for the post of Administrative Officer (AO) Scale-I. The total number of vacancies according to the advertisement is 300. 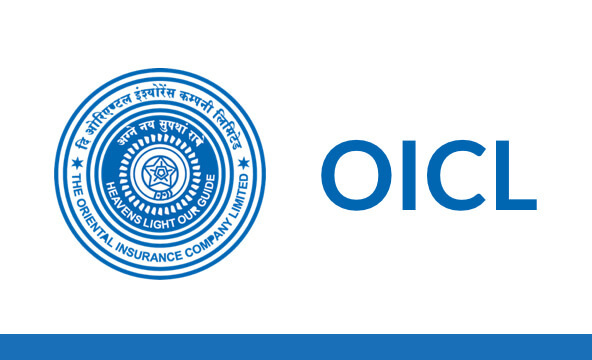 Oriental Insurance Company Limited (OICL) has activated the online application link for the much-awaited recruitment of the recruitment of 300 Administrative Officers (AO) Scale-I post in 2017-18. All the interested candidates can apply online from the link given below. OICL Main Examination constitutes of Objective Test for 200 marks and Descriptive Test for 30 marks. Objective and Descriptive Tests will be conducted online. Candidates will have to attempt Descriptive Test by typing on the computer. Just, after the conduct of Objective Test, Descriptive Test will be conducted. (i) Objective Test: This test will be of 2 hours consisting of 4 sections (Generalists) and 5 sections (Specialists) for total 200 marks. (ii) Descriptive Test: This Test is of 30 minutes duration and of 30 marks. Candidates are tested for English Language (Letter Writing-10marks & Essay-20 marks). The descriptive test will be in English and will be conducted on-line. All candidates are supposed to obtain a minimum score for each section of objective test separately for getting short listed for the Descriptive test evaluation/Interview. Descriptive test would be evaluated only for the candidates who clear the objective test. Candidates who clear the main examination will be called for the interview round to be conducted by the company. The ratio of online Examination and Interview will be 80:20 respectively. The centre, address of the venue, time & date of Interview will beinformed to the shortlisted candidates in the call letter. Candidates are required to download their interview call letters from company’s official website. A candidate is required to pay Rs. 500/- as OICL 2017 Application fee. Candidates belonging to SC/ST/PWD/Ex. Servicemen are required to pay Rs. 50/- as application fee for OICL 2017 Exam. AGE LIMIT: Minimum Age required is 18 years and Maximum Age required is 26 years. a) Graduate from a recognized University OR Pass in HSC/Equivalent (XII pass) examination with 60% marks (50% for Ex-servicemen, SC/ST and Persons with Disabilities); and the candidate should have passed in English as one of the subjects at SSC/ HSC/ Intermediate/ Graduation level; and Knowledge of Regional Language i.e. Language of the State of Recruitment is essential. b) The candidates should be proficient in Regional Language of the State/UT (candidates should know how to read/write and speak the Regional Language of the State/UT), for whose vacancies a candidate wishes to apply. The admit card/call letter for OICL 2017 exam will be uploaded on the website after the application process is completed. Candidates are required to download the OICL 2017 admit card from its official website. Admit Card will be released separately for candidates for Written Test and Interview Process. The cut off for OICL 2017 keeps on changing every year. It depends upon the number and quality of questions being asked in the examination. The cut-off for Written Exam is likely to be different than that of last years’. Keeping in mind the OICL 2017 exams, we are launching various Test Series (PRE+MAINS), Classroom Programs and Seminars to guide you through your preparations. The declaration of results will be done by OICL after the examination of OICL 2017 is conducted. The final list will be prepared in descending order of the marks obtained by each candidate in OICL 2017 Written Exam and Interview Process.